When you call 281-704-3696 today, we will provide you with high quality Willis heating repair, installation and replacement services at affordable prices. Click here to see our current online specials and coupons. When you are looking for a high quality heating expert to service your furnace, it’s important to consider things like reputation, experience and location. A licensed technician that’s also local will be able to get to your home quickly, so if your heating system breaks down you won’t have to wait too long before help arrives. People in the Willis, TX area have been talking about our range of services. Click here to find out what they’ve been saying! If you have ever considered installing a heat pump in your home to take care of your family’s indoor comfort, you’ll want to understand its basic function. A heat pump takes energy from the ground or the air to produce heat inside your home in the cooler months; heat pumps can also be used to cool your home during the summer. Unlike standard furnaces and AC systems, heat pumps don’t have to generate heat from a fuel source or electricity. They can just take what’s already there and transfer it elsewhere. A good rule to follow when it comes to furnace filters is to change it every three months. If you stay on this schedule, you’ll be in good shape because you should be able to avoid a clogged filter slowing down your system. If you have pets, or your home produces more dust than normal, you may want to consider changing the furnace filter sooner than every three months. Is DIY Furnace Installation Safe? Watching online videos or reading manufacturer’s instructions may work for a lot of things, but when it comes to installing a new furnace, it is not the way to go. Not only can you injure yourself with the furnace itself, but one false move with the gas line or pilot light and your entire family could be at risk, as well as your neighbors. Unless you are properly licensed by the state of Texas and have experience installing furnaces in residential homes, leave it to the experts and enjoy the benefits of a professional job. 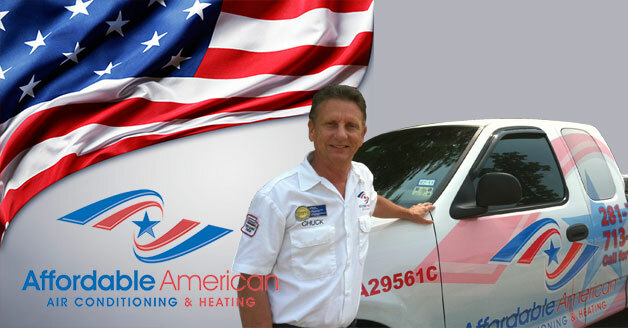 If you encounter a furnace issue in your Willis, TX home and aren’t sure where to turn, call Affordable American Air Conditioning & Heating at 281-704-3696 today. We can make sense of the problem and find the most practical solution.